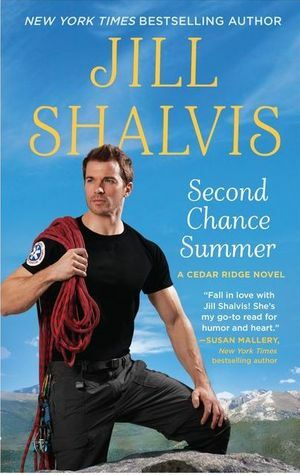 Second Chance Summer (Cedar Ridge #1) by Jill Shalvis – This is an interesting mix of characters and setting in a brand new series. Cedar Ridge, Colorado is a resort town and the Kincaid Family Resort has been there for years. Now they have a limited time to overcome the damage done by their Father and have the money for an balloon payment fro the loan he took out that is due in just a year. The Kincaid’s are a very interesting blended family. It seems that Dad was not only a bad business man but also had three families. Now the children from all three families are living and working together. This is Aidan Kincaid and Lily Danville’s story. Both have secrets and it takes a book for them to work them out. Great start to the series. The Temptation of Dr. Colton (The Coltons of Oklahoma #3) by Karen Whiddon – The Coltons are an interesting family. This time we meeet Dr. Eric Colton and MW (Mystery Woman). There is the usual romance and like previous books the mystery woman has someone trying to kill her. It is a fun read with a good plot. The solution is pretty tame but it did fit the series. This is a series written by different authors. Each book can stand alone but there are elements that are present in every book. I enjoyed reading about MW and Eric. 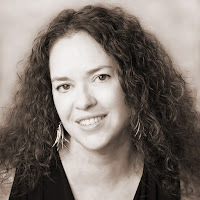 Brown-Eyed Girl (Travis Family #4) by Lisa Kleypas – It has been almost six years since the last Travis Family book so I had forgotten a lot about the previous books. That did not matter as this on worked well as a stand-alone. The story follows a familiar pattern. A successful woman who has locked up her heart and a man who is determined to unlock it. Throw in a secondary romance and a wedding that needs to be stopped and you have a very good story. Kleypas always delivers and Brown-Eyed Girl is no exception.Eyed Gir(Travis Family #4) by Lisa Kleypas – It has been almost six years since the last Travis Family book so I had forgotten a lot about the previous books. That did not matter as this on worked well as a stand-alone. The story follows a familiar pattern. A successful woman who has locked up her heart and a man who is determined to unlock it. Throw in a secondary romance and a wedding that needs to be stopped and you have a very good story. Kleypas always delivers and Brown-Eyed Girl is no exception. 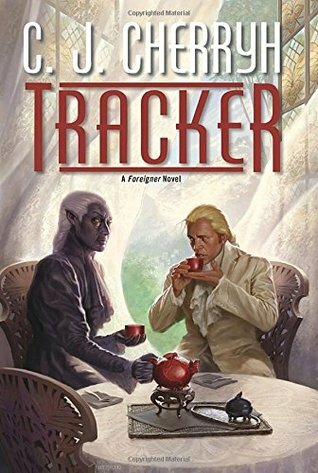 Tracker (Foreigner #16) by C. J. Cherryh- Tracker is a set up for the next two books in the series. We do get to see a lot more of Cajeiri as he and his friends from the ship become more important to the story line. The Kyo are back but just as a plot point. There should be more about them in the next book. This is book 16 in the series and the books are much better read in order. Susan will award a $15 Amazon/BN gift card to a randomly drawn commenter via Rafflecopter. In Book Three there are not that many characters left alive on Perdition. That does not stop Dred and crew from trying to breakout. It seems like an impossible thing to do but of course after many trial and troubles they succeed. Now what do they do? How do they live? Well that is the interesting part of the story. While Dred was in charge on Perdition Jael takes charge after their escape. They need a very different mindset after the escape and Jael provides it. There is a world of difference between the first half of the book and the second half. The first half is very violent. The second is about building a new life and leaving the old behind. One interesting fact and a small spoiler: Information about Silence helped them to set up their new life. It is a good ending to the series even though it seems a little to good to be true. Aguirre crafted characters who I should have hated and made them into characters I was pulling for. I was glad we got to know how they all did after breaking out. It put a nice period to the end of the series. The Dred Chronicles is set in the same universe as the Jax books. I saw what I thought were hooks that could be used for future stories. I would not mind a new series in the same setting. ACE published Breakout by Ann Aguirre in 2015. 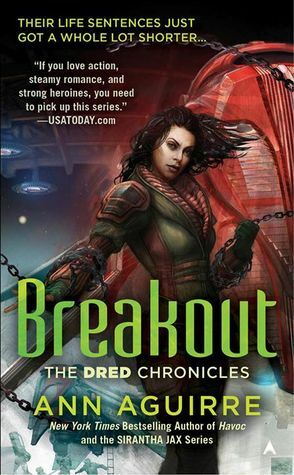 I received an ARC of Breakout from Netgalley in return for an honest review. Rancher Staten Kirkland, the last descendent of Ransom Canyon's founding father, is rugged and practical to the last. No one knows that when his troubling memories threaten to overwhelm him, he runs to lovely, reclusive Quinn O'Grady… or that she has her own secret that no one living knows. 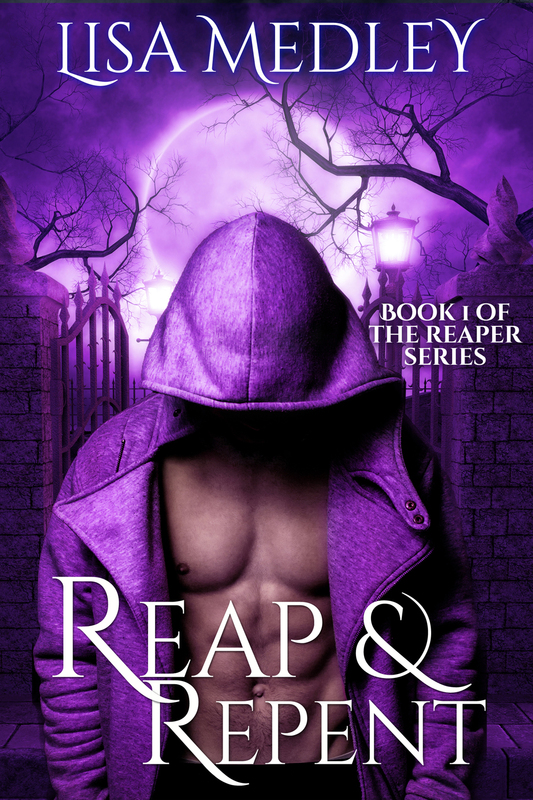 Jodi Thomas not only has a new series this one has a different publisher. 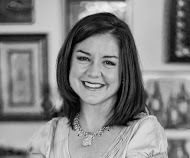 HQN Books is the publisher of Ransom Canyon. For all of us who have followed her Harmony series there are some things that are the same but also some very big differences. Once again the series is set in a small Texas town and follows the families who live there. Ransom Canyon introduces some interesting characters who help keep the story line lively. There is also a element of danger in the story. I loved Yancy Grey and all of the senior citizens who take him in and change his life. I see a romance in his future. Lucas Reyes, the sheriff and his daughter liven up the action as well. Staten Kirkland and Quinn O’Grady are the main characters in Ransom Canyon and they have a very complicated relationship. All of this adds up to a great story and a great start to a new series. Jodi Thomas is on my list of favorite authors and Ransom Canyon keeps her up there at the top. 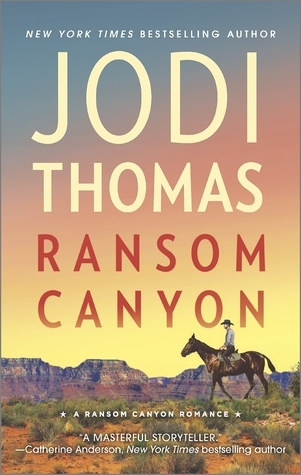 HQN published Ransom Canyon by Jodi Thomas in 2015. I received an ARC of Ransom Canyon from Netgalley in return for an honest review. 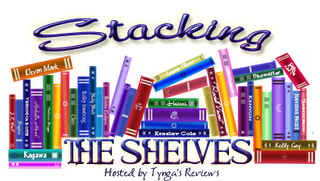 4 winners - Signed copy of Immortal Matchmakers, Inc., bookmarks, and magnets. I met Lin Su Simmons and her son Charlie in the last Thunder Point novel. Everything about her was left hanging so I was anxious to see what would happen to both. Turns out a lot happens. Lin Su is a very self-contained private woman. She is very good at her job and loves Charlie but does not allow people to get close and personal. It takes a lot to bring her out of her shell. Blake Smiley and the others at Thunder Point work very hard and little by little she starts to trust. Wildest Dreams is another feel good story filled with great characters whose lives are filled with interesting drama. Everything falls into place as the story progresses although sometimes there are unexpected surprises in store for each of the characters. Wildest Dreams will stand along but start with book one for the most reading fun. Harlequin Mira published Wildest Dreams by Robyn Carr in 2014. 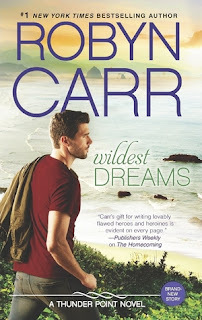 I received an ARC of Wildest Dreams from Neutrally in return for an honest review.